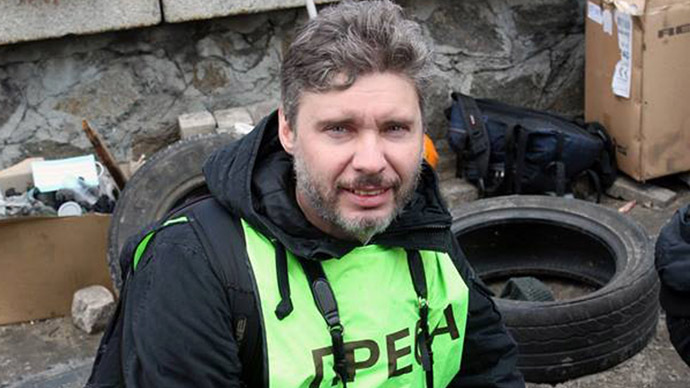 Russian journalist Andrey Stenin, missing in eastern Ukraine for a month, has been confirmed dead, RIA Novosti, the news agency where he worked, reports. He was in a vehicle traveling in a convoy of escaping civilians when it came under heavy fire. Stenin apparently died in a vehicle, on his way to an assignment, according to the agency’s director, Dmitriy Kisilev. Russia's Investigative Committee has determined that the car had come under fire as a Ukrainian attack on the self-defense forces was taking place. The car had been travelling in a convoy, together with those escaping the conflict. It was guarded by six members of the self-defense forces. The unit that carried out the attack was also using a tank, according to the investigators. More than 10 cars containing peaceful civilians had been shot up. The contents of the vehicles, including the civilians' belongings, had come into Ukrainian posession. The following day Ukrainian commanders arrived at the scene. According to Vladimir Markin of the Investigative Committee and testimony gathered from bystanders, "they weren't only inspecting the wreckages and identifying bodies, but were also loading the contents of the vehicles into their own and searching the remains," he said. "After the commanders had left the scene, it was fired on with Grad missiles," he added. "The investigation will not stop at determining the exact details of the shooting. 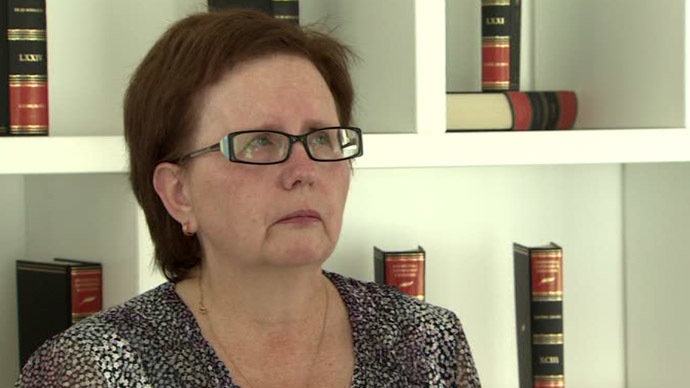 It also aims to find those responsible and bring them to justice." Moscow has asked that Kiev carry out the same "impartial and thorough investigation." It was only on August 27 that Russian authorities had been given the remains of the five persons who were in the car with Stenin at the time of the attack. "Russian experts studied the remains, which contained those of Stenin as well," Markin told journalists. Kisilev also said that mediators on the Ukrainian side were earlier offering to negotiate Stenin's release - possibly an exchange - in this way giving credence to the view that he may be alive. 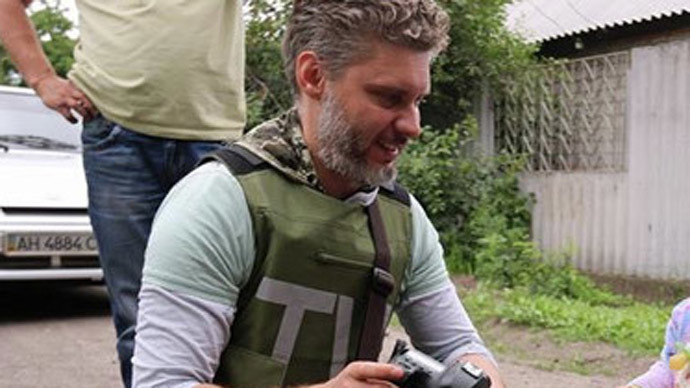 Stenin, 33, a photojournalist contributing to several leading Russian and international news agencies including AP, Reuters, AFP, Rossiya Segodnya (RIA Novosti) and ITAR-TASS, had been covering the conflict in eastern Ukraine before all contact with him was lost on August 5. In mid-August, Anton Gerashchenko, an adviser to the Ukrainian interior minister, said that Stenin had been arrested by the Ukrainian Security Service for “aiding and glorifying terrorism.” He later backtracked on the statement. Stenin’s disappearance prompted rallies in his support all over the world, as well as an online campaign #FreeAndrew. Stenin was an experienced war photographer. The work he did in Ukraine included pictures of Ukrainian troops captured by self-defense forces, the horrific results of Ukrainian artillery shelling of militia-held cities and the crash site of the MH17 plane that was downed over the Donetsk region in July. Ever since Stenin went missing, Moscow has been putting a great deal of pressure on Kiev, calling on the Ukrainian authorities to assist in finding and rescuing the journalist. Russia’s Investigative Committee launched a criminal case over what was regarded as a possible kidnapping. All major international human rights watchdogs - Human Rights Watch, Amnesty International and the International Federation of Journalists – have called for an urgent investigation into Stenin’s disappearance. 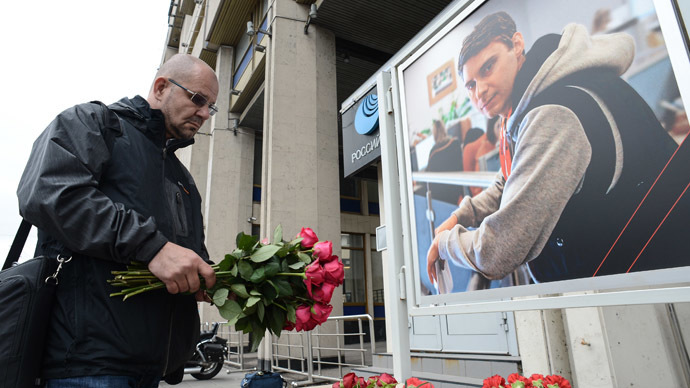 "Andrey's funeral will take place on Friday at the Troyekurovskoe cemetary in Moscow. He will be buried next to journalists Igor Kornelyuk, Anton Voloshin and Anatoly Klyan, who, like Andrey, were killed in Ukraine," the director added in his statement. The Ukrainian interior ministry said it is ready to investigate the death of Stenin after Moscow’s demand for a probe. 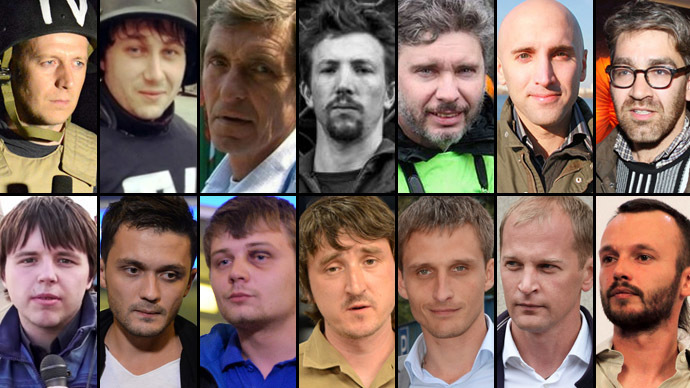 But it would be difficult as the area where the journalist was killed is not controlled by Ukrainian troops. “Without access to the body, without knowing how he was killed, we won’t be able to conduct such an investigation,” Anton Gerashchenko, adviser to the head of Ukraine’s interior ministry, told Ukrainian TV. Russian President Vladimir Putin said he had hoped until the last minute that Stenin was alive and would return home to his relatives. “We hoped that Andrey [Stenin] would return to his family and friends but bitter news dashed all these hopes. He performed his professional and human duty to the last. [He] did everything so that people, the whole world learnt the truth about the tragic events that are happening in Donetsk,” said Putin’s statement on the Kremlin website. Russian PM Dmitry Medvedev also expressed his condolences. “It’s a terrible sorrow when the life of a young, talented man who is full of energy is taken in war. A war in which his only shots were photos! He wanted to bring us photos documenting the atrocities and injustice,” he wrote on his Facebook page. “Maybe it’s the highest manifestation of love for people – to come under fire in order to show that there should be no wars,” he added. The OSCE (Organization for Security and Co-operation in Europe) has called on Kiev to investigate the circumstances of Stenin’s death, the body said in a statement. I urge Kiev authorities to investigate all cases of killing of media workers, do it quickly and thoroughly, said a statement from Dunya Miyatovich, the OSCE Representative on Freedom of the Media, which observes media developments.